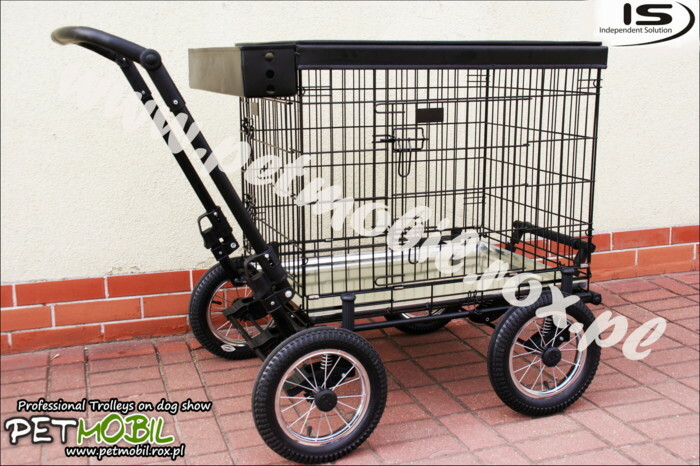 TERRAIN TROLLEY - Trolleys on dog show. 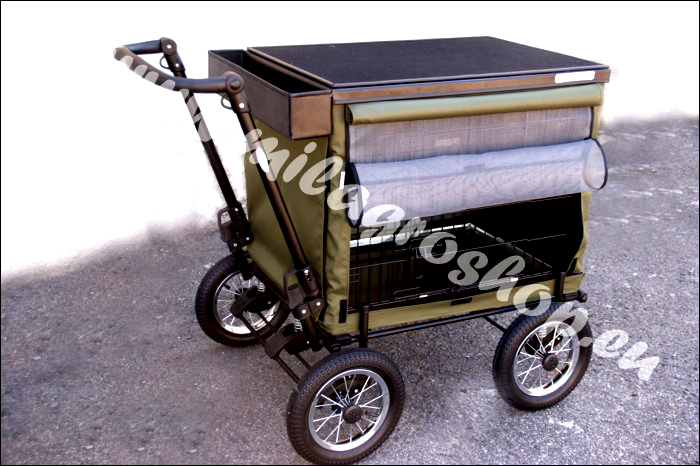 PetMobil is made from best quality materials. It has three shock absorbers on the front and back axle, brakes, wheels, pneumatic (pumped wheels), easily beats every area of the exhibition: the grass, hills, uneven terrain, sand. Additional handle on the other hand allows for a comfortable bringing up the stairs.